eVision’s latest enhancement takes a significant step towards “unlocking” the value-added information stored on your B2B portal and making it available to everyone. 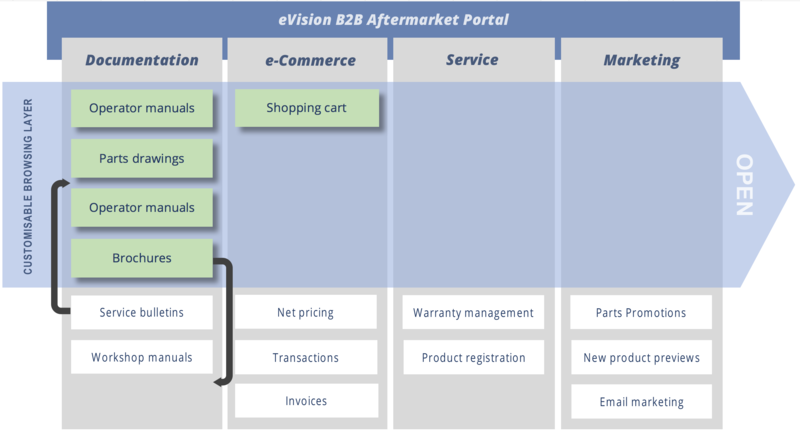 eVision’s B2B portal was originally designed as a closed environment to provide product, service and aftermarket information, as well as e-commerce, to designated dealers and service centres only. As over the course of time, more and more information is stored within this environment, it stands to reason that eVision users become increasingly reliant on the portal as the principal repository for all their product and service related requirements. Not only technical but also commercial. But today, in a world of increasingly empowered end-users and their insatiable appetite for information, the need to go beyond the closed environment and “unlock” selective portal data to a wider audience has become apparent. 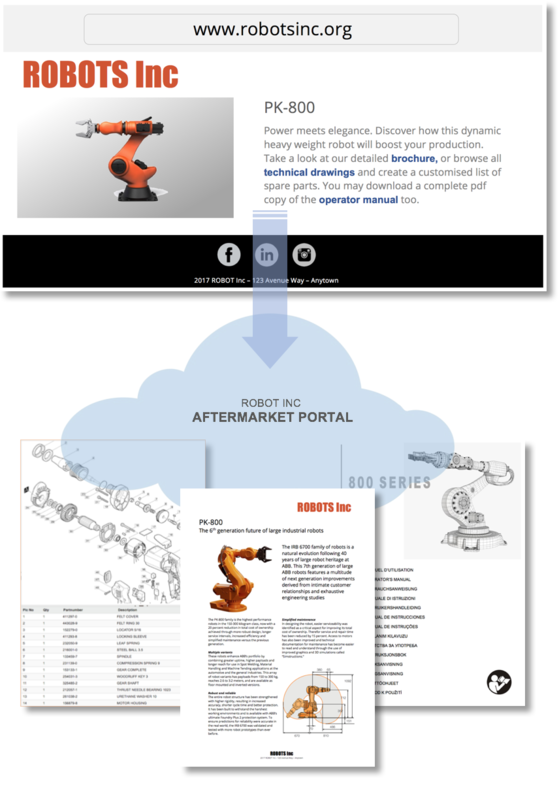 So why not grant end-users bespoke access to the portal so they might surf through product information, download operator manuals and brochures, or consult parts drawings? They could even create their own printable spare parts shopping basket and email it to their local service centre for a quotation. Clearly, there are perfectly valid reasons for shielding unqualified eyes from sensitive information such as net pricing, stock levels and confidential bulletins, but with so much useful, consumer-friendly knowledge already residing within a typical eVision powered portal, it makes no sense for it to be duplicated on a corporate website. Thanks to this latest enhancement, corporations may now create links within their websites, email messages and digital media to drive users to any specific location on their eVision portal; be it a document, a product brochure or even a specific spare parts drawing. And in doing so, they will not be required to register or log-on. Once on the portal, consumers will be able to navigate freely, but will only have access to the document categories, sections and features granted by their SSO profile, as depicted in the graph. > For more information on linking your corporate website to your eVision portal, please contact us by clicking here.